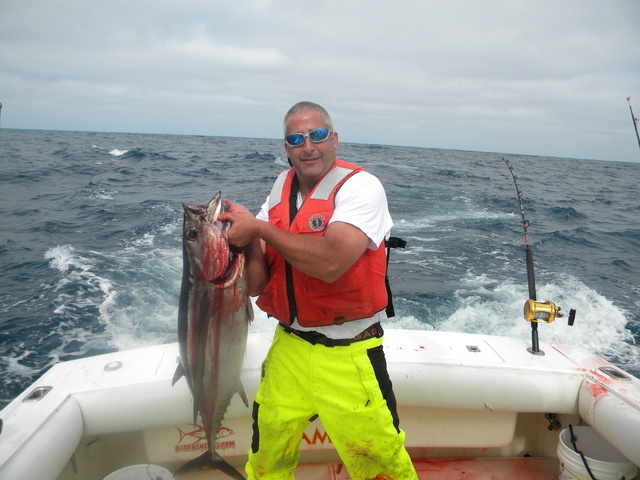 Mike Bongi AKA Marlin Mike nailed this giant Pacific Albacore out of Westport on August 25th. This fish weighs 38 Pounds 9.6 ounces according to the chart! WOW! !